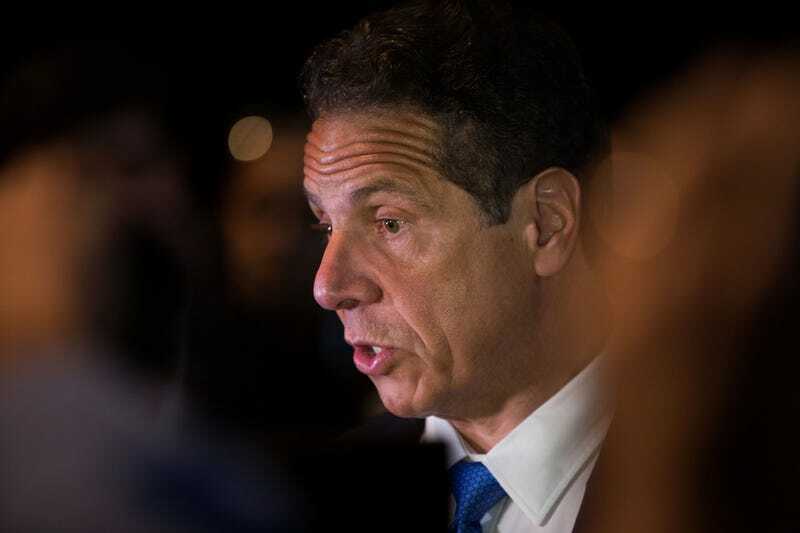 New York Governor Andrew Cuomo is not exactly known for drumming up grassroots enthusiasm and small donor contributions, so it was quite a surprise on Monday when his reelection campaign reported that more than half of his campaign contributors this year gave $250 or less. But wait—a closer examination of those donations reveals a very odd fact: 69 of them came from just one person, Christopher Kim. Even odder, it appears Kim lives at the same address as one of Cuomo’s aides! What is going on here, I wonder! Let’s look at the information we have on hand: 1) Cuomo has testily fielded questions from reporters about his donor base and that of his primary opponent, Cynthia Nixon, who loves to needle him over his cozy relationships with rich donors, and who also, in March, told the Buffalo News, “In one day of fundraising I received more small donor [contributions] than Andrew Cuomo received in seven years.” 2) All at once, Cuomo’s campaign got an influx of small donations from someone who appears to share an address with a Cuomo aide. What could it all mean??????? ?